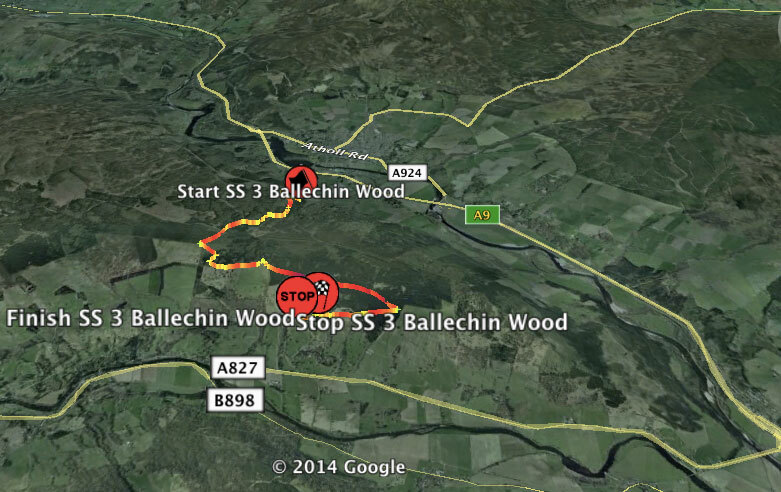 October 2014 – RallyNews – Patterson Pacenotes Extra's….. It is a very busy weekend for the rally community this weekend. While the WRC trundles along in France, here in the UK and Ireland we have a bit of a full house. The Tarmac Championship concludes this weekend in Millstreet Co Cork, with Cork 20 Rally. This is not a preview but our own RallyNews service will live this weekend and can be found elsewhere on the site. In Co Fermanagh it is the Enniskillen MC clubmans rally. In Scotland, the ever popular McRae Stages gets underway as a round of the MSA Scottish Rally Championship – we are involved as it also a round of the British Historic Championship. It’s also the Jersey Rally tonight and tomorrow but unfortunately we don’t have any Jemba traces for it due to technical reasons. Hopefully, some of you find the Speed Traces helpful, but good luck to everyone involved in all these events this weekend. Have a safe and enjoyable rallying weekend.